The Haryana Assembly on 29 March unanimously passed the Haryana Backward Classes (Reservation in Services and Admission in Educational Institutions) Bill, 2016 to provide reservation for Jats and four other communities in government jobs and education. 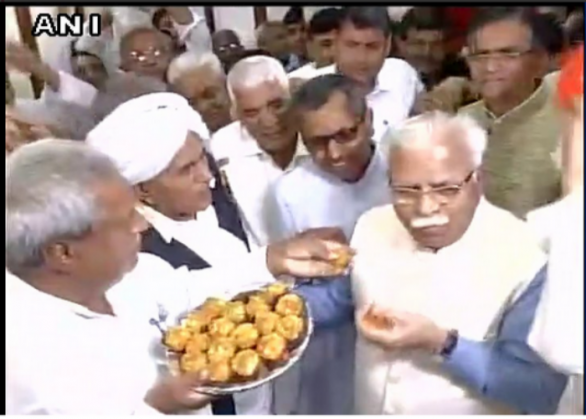 Two crucial bills, the Haryana Backward Classes (Reservation in Services and Admission in Educational Institutions) Bill 2016 and the Haryana Backward Classes Commission Bill 2016, were passed by the assembly within minutes of being introduced by Chief Minister Manohar Lal Khattar. A bill proposing reservation to the Jat community along with Jat Sikhs, Tyagis, Bishnois and Rors was cleared by the state cabinet on Monday. Following the nine-day-long Jat agitation that left almost 30 people dead, the Bharatiya Janata Party government in the state had promised to provide reservation to these communities. The bill proposes 6 per cent reservation for Jats and four other castes in Class-I and II government jobs. In addition to this, it proposed a 10 per cent reservation for the mentioned communities in educational institutions and Class III and IV government jobs. Earlier this month, a five-member committee was formed so that a draft of the bill to grant reservation under the ambit of the Constitution is prepared.